I now have a new ABIG printing press with a 50cm x 90cm base plate. 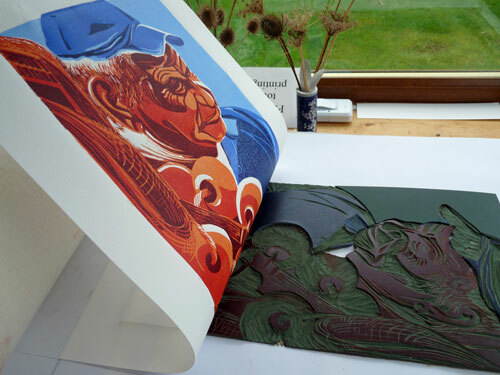 The press is excellent value and is ideal for my varied relief printmaking techniques. This larger press enables me to produce bigger prints and I now have more room to manover for complicated registration.